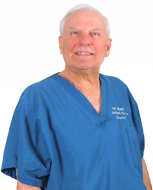 Dr. Dale Hasty, OD Dr. Hasty specializes in the treatment of diseases of the eye and loves his patients dearly. Dr. Hasty has been in practice since 1984. He first received his undergraduate degree from the University of Tennessee, then went on to graduate from the Southern College of Optometry. Dr. Hasty has been married to his beautiful wife Rose since 1979. Dale and Rose have five children and eight grandchildren (And are hoping for more grandchildren). Dr. Hasty enjoys spending time with his wife, children, and grandchildren most of all. He also enjoys teaching his Sunday School class and farming. 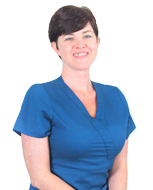 Laura Keith, LDO is Dr. Hasty's Optician. She started working for Dr. Hasty after school in 2003. She was ABO and NCLE certified in 2007. Laura graduated from Roane State Community College with an Associates in Opticianry and received her Opticians License in 2008. She is the third child of Dr. Hasty. Laura is happily married to Kenny Keith Co-Owner of Copymatte Printing, Inc and Owner of Vivid Imagination Productions. Laura and Kenny have three beautiful children together; Lane, Rose and Sean. Laura loves spending time with her family most of all. She also very much enjoys working with her dad, traveling, and attending Shelbyville Mills Baptist Church with her wonderful church family. Amy Reeves started working for Dr. Hasty after school in 2005. 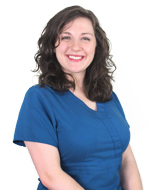 She has experience in many different areas of the office and is currently focused on providing quality service for patients while specializing in patient insurance. At the age of sixteen, Amy was the youngest person in the nation to receive her CPO certification. She received her Bachelor of Science from MTSU in 2012. She is Dr. Hasty's youngest daughter and fourth child. In 2009 Amy met and married her wonderful husband Derek. They now have two beautiful children, Aiden and Ellie. Above all, Amy loves the Lord and spending time with her family. She enjoys being active in church, cooking, traveling, farming, serving others, and of course, working for her dad. 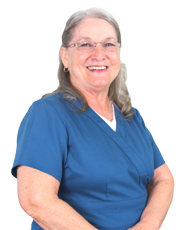 Jeannette Allen has been working for Dr. Hasty since March 2006. She is originally from Michigan, where she met and married a Moore County Tennessee gentleman over 40 years ago. She moved to Tennessee some 33 yrs ago. She has a daughter, son, and a stepson. Jeannette has been blessed with 4 granddaughters, 3 grandsons, and a step granddaughter. She loves spending time with family, camping, going on cruises and any beach! She is a very active member of Faith Baptist Church serving in various capacities. 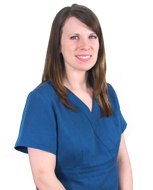 Allison Sanders has been with Dr. Hasty since September 2014. She has an Associates Degree in Medical Billing & Coding. Allison is from Bedford County. She has been with her high school sweetheart for 20 years and married for 14 years. Together, they have two daughters. In their spare time,they enjoy camping, carshows, & spending time together as a family. She is an active member of North Fork Baptist Church. We strive to bring you excellence in eyecare. Our family-friendly atmosphere makes going to the doctor a joy. Here at Family Eye Care, we provide our patients with In-Depth Eye Exams, a Wide Selection of Name Brand Frames, Contact Lenses, Treatment of Ocular Diseases & Eye Injuries. (c) 2015 Family Eye Care of Shelbyville, TN. All rights reserved.